We can become familiar with the most common breeding theories, and use free Tesio pedigree charts on the studs’ websites to look at a future foal’s family tree. But how many of us feel confident that we understand the significance of what we are reading? 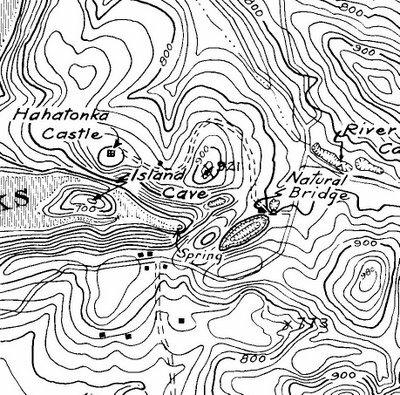 A Tesio chart is like getting a contour map of 50 hectares. It might identify some key features and the slopes, but it doesn’t tell you the climate or soil type or what has been proven grow most successfully on similar blocks of land across the country, or where potential springs of water might be hiding. It gives you useful data, it identifies double ups, and it points you towards some classic mares. Is that enough? • to get advice that is outside immediate fashions and opinions. I don’t take anything as ‘gospel’ – but it all adds to my knowledge and ability to hopefully breed more successfully. And it’s certainly more interesting that putting on a blindfold and sticking a tale on the donkey! I believe that genetic traits can endure through many generations, if they are kept strong by correct matching. That depends on whether the breeder helps increase the odds by putting pedigree matching as one (not the only) factor into sire selection. This is the approach of Equinex Breeding Service Ltd, the Australian pedigree consultancy I’ve used on several occasions as one part of selecting a sire. Mike and Ricky Goode are quick to acknowledge all the factors that go into producing a good racehorse including conformation and a good feeding regime for the mare and foal, but their service advices on one key factor – the genetic capacity of a breeding match to produce a quality offspring, specifically a match that maximizes your chances of getting a performance enhanced X chromosome from the sire or dam. They use an extensive computer database of horses, both good and poor performers, to evaluate what is a poor, fair, good, very good or excellent genetic source for any horse (standardbred or thoroughbred) in the world. They assess your mare’s genetic strength and where it lies, i.e. her X chromosome sources from her paternal and maternal sides, and then search for stallions that have ‘genetic affinity’ with those sources. This affinity, they say, increases the chance of inheriting her excellent X chromosome source. Without this, you are pretty much “subject to the random and lucky spin of the genetic wheel”. It’s an opportunity to reduce the odds of breeding to a genetic source that doesn’t complement your mares and will in fact weaken the genetic structure of your breed in future. The fact Equinex is based in Australia doesn’t bother me a bit. I am not looking for local knowledge, but rather for unbiased advice based on analysis and comparisons of a huge number of pedigrees that I have neither the time nor resources to examine. You need to set clear parameters about the commercial nature of the sire or his location so you don’t get a recommendation for a sire that isn’t available or is not commercial here – but that’s just an indication that they are evaluating purely on genetic structure and compatibility. Another Australian based pedigree consultancy I’ve used is the online service http://www.equineexcellence.biz. They also focus on the Jim Squires’ elements – a sound and persistent genetic structure and the importance of the maternal contribution, but acknowledge the need for the breeder to look at other key factors like conformation and temperament. Like Equinex Breeding, they place importance on the X chromosome. The company has a matrix of factors that have helped them develop an algorithm they can run through their database that will identify genetic excellence characteristics in your mare and a range of potential suitors, and hopefully “genetic excellence affinity © “ between particular recommended sires and your dam. A load of codswallop? Are they taking your cash in exchange for mere opinions or weird theories they don’t have to explain? Or are they experts who can give you insights well beyond your own reach – the baking powder for your cake? Both these consultancies have websites that explain their approach in more detail. The low cost discussion papers put out by http://www.equineexcellence.biz are provocative reading and show the emphasis they place on research and hard evidence. If you have an open mind, they will take you to some interesting places! In both cases, you can get information directly relevant to your mare/s for around $300 to $500 – about the same as a working fee or the GST on your stud fee. A frustration arises from the commercial nature of their businesses which prevents them from sharing the detail at the heart of their analysis of a match, the specifics of a “genetic affinity”. But returning to the cooking analogy – it’s no different from buying KFC and getting a box of fried chicken but not the secret recipe for the herbs and spices. Let’s look at his first and third ‘strings’ – persistent genetic traits and important females. It’s good that he talks about strings and unraveling, because it leads me nicely into knitting. Yes, knitting. When I’m studying pedigrees I keep in mind the art of fair isle knitting. That’s the traditional style used in jumpers, vests and hats where different coloured yarns form patterned bands. 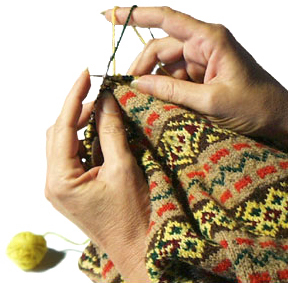 The knitter uses ‘active’ colours while other colours are simply held behind the piece, carried as a loose strand of wool yarn and introduced when the pattern requires it. On the right side is a highly structured and balanced pattern that creates an overall impact – stunning. On the reverse side it looks almost messy. You can see individual coloured threads weaving in and out, some of them looped along a row, held back and waiting to add their unique element to the pattern again. Two yarns can form a striking pattern if they complement each other, and other colours can be kept going in the background and reintroduced at the right time to lift the pattern to another level or form a new one. I have a liking for certain strong maternal lines and the great broodmare sires associated with them – the wonderful McKinney sisters, Spinster, Old Maid and Breath o Spring, the underestimated Nedda, and of course Leta Long and Meadow Cheer amongst others. These are mares and families that have had a genetic influence way beyond their own lifetime. They are ‘persistent’, like the coloured yarns the knitter holds loosely at the back waiting to reintroduce into the pattern. There are more modern broodmare gems that are developing powerful maternal lines, although unlocking their potential can be a puzzle –Lismore/Lisheen, Three Diamonds and Rich N Elegant come to mind as wonderful maternal lines of recent sires whose genetic potential we are have struggled to activate in New Zealand, yet. (In a later I’ll examine the ‘rich and elegant’ puzzle in more depth). In my view, there is no “magic bullet” for successful pedigree matching. It always amuses me how double ups are bolded in the Sales catalogue pedigrees, as if that somehow signaled a highly significant factor we should automatically pay more for. In some cases, maybe. But often not. My personal approach is to look for things that are complementary rather than the same – “what likes what” rather than “like with like”. It’s a bit like cooking. You don’t really need to follow a strict recipe for a good fruitcake. If you gather the basic ingredients (flour, eggs, sugar, butter, and dried fruit) in the right proportions you can put a cake together. The cake is the result of mixing things that aren’t the same, but complement each other. The total is greater than the sum of its parts. Too much liquid and it won’t set. Too much flour and it will crumble. Increasing one good ingredient a lot can throw the ‘whole’ out of balance. In breeding terms, doubling up a recognised genetic speed factor may reduce stamina or increase risky temperament traits, and inbreeding or loading up with a common dominant sire may demand subsequent outcross breeding to get a family back in balance. Getting your proportions right and blending them into a consistent mixture is vital for success. In this fruitcake analogy, the main ‘ingredients’ might be all the factors you put into your breeding decision mix. For me, that means conformation, character, commercial factors, family performance, and pedigree, with commercial factors being the ‘sugar’ content I can reduce if I need to go ‘lite’ for financial reasons. If you are focusing on pedigree matching alone, these main ‘ingredients’ might be more specific phenotype and genotype inputs such as speed, gait, stamina, or perhaps so-called golden crosses or perhaps relative positions within the proposed family tree e.g. 4x4x4 to Meadow Skipper, or the Rasmussen theory, or specific dam or sire lines you want to include. You are focused on proportions and achieving a certain balance when complementary things are combined. 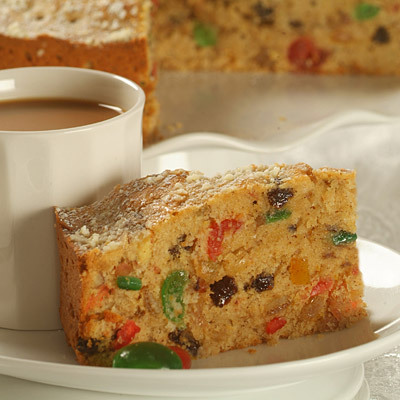 However there’s more to a fruitcake than those obvious ingredients. It will turn out flat and tasteless without some small but vital items – a pinch of salt, a teaspoon of baking powder, or a dash of vanilla and almond essences. In breeding terms, these small but key ingredients are what I want to find when I go looking for what ‘nicks’ with what, and when I learn that a sire stamps his foals with a longer stride or a mental toughness or better bone density, or when I use a new feeding programme that gives foals a stronger foundation. You might seek those ingredients from an “instant packet” (a breeding consultant’s or other expert’s recommendations) or from reading lots of recipe books (study and research) or by developing your own highly tuned taste buds (your own breeding theory or intuition), it doesn’t matter. In the end, the proof of the fruitcake is in the eating. And that is why breeding successful racehorses is a fascinating challenge and the search for the right ingredients continues. (The art and science of breeding Part 1 of 3) There are some breeders who pay scant attention to pedigree matching and believe it is less scientific than pinning the tail on the donkey. Maybe. But evolution tells us one thing very clearly – genes do matter. Like most things, in my view, there’s a bit of science and a bit of art in breeding. The ‘science’ part is relatively straightforward. Science informs the advice we get about what we feed our mares and foals, health issues, fertility, biomechanics and so on. There is also a wealth of hard statistical data on the relative success of sires, progeny percentages, and so on. Add to that an impressive array of breeding theories that have some decent research behind them – such as the theory that large heart genes are carried on the X chromosome, and consequent debate about whether a large heart is vitally important for the type of short distance speed racing we are increasingly preparing horses for. Frank Mitchell’s easy to digest book “Racehorse Breeding Theories” summarises many of the key breeding theories that use a ‘scientific’ approach (i.e. rigorous research and working methodically with data to try to find results that are repeatable – a system for success). Don’t skip over the foreword to this book, written by Jim Squires of Kentucky. It is a beautiful statement of the huge gap that is still left between the search for scientific evidence and the actual breeding of a brilliant race horse. Right now I am going to divert into a couple of weird and wonderful analogies that illustrate the balancing science and art when it comes to breeding – and the importance of not underestimating small ingredients that punch above their weight.